23 cm xii, 599p. : ill. 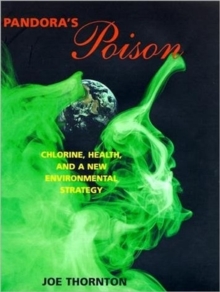 This visionary yet practical book presents a solution to one of the most important environmental problems of our time: the global accumulation of toxic chemicals. Everywhere on the planet, hundreds of industrial chemicals called organochlorines are building up in the environment, in the food supply and in our bodies. These substances - which include such infamous pollutants as dioxins, PCBs and DDT, along with thousands of lesser-known hazards - are produced whenever chlorine gas is used in industry. Amassing a compelling body of evidence, Joe Thornton shows that organochlorine exposure already appears to be contributing to cancer, infertility, immune suppression, birth defects and neurological disorders in people and wildlife.Thornton argues that the roots of the problem lie in the current approach to environmental policy, which tries to regulate individual pollutants by using scientific predictions of their local impacts. This approach greatly overestimates science's ability to understand the complex and subtle hazards of chemical mixtures, and the regulations fail to prevent large-scale damage to organisms and ecosystems. Thornton also shows how the current reliance on "sound science" disguises political biases that protect polluters and gamble with public health. "Pandora's Poison" proposes a major shift in environmental policy. We must abandon the fruitless effort to manage individual pollutants, Thornton argues, and phase out broad classes of hazardous chemicals, starting with organochlorines. He recommends an ambitious programme to replace the many chlorine-based products and processes currently in use with substitutes that fulfill social needs without generating toxic substances. Far-reaching as this technological conversion would be, it is also practical, for safe, effective and economically feasible alternatives are already available for the vast majority of chlorine uses.